Pseudogymnoascus pannorum is a common soil fungus occasionally isolated as an opportunistic human pathogen. Pseudogymnoascus has acquired importance due to the mortality of bats caused by Pseudogymnoascus destructans, the causative agent of White Nose Syndrome. The phylogenetic placement of pathogenic Pseudogymnoascus species in humans with respect to Pseudogymnoascus destructans is unclear due to the paucity of sequence data for human isolates. The goal of this research was to characterize and determine the phylogenetic relationships between isolates from humans, bats, and environmental samples with respect to Pseudogymnoascus destructans. Four isolates from humans were compared to a collection of 40 different isolates from bat wings and environmental samples. Fungi were characterized phylogenetically using the ITS rDNA and MCM7 regions and a temperature experiment. All isolates were psychrotolerant, including the human pathogens, while only Pseudogymnoascus destructans was a true psychrophile. All isolates in this study clustered within defined groups except three. 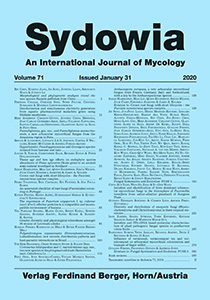 Isolates from humans and environmental samples initially characterized as Geomyces pannorum clustered within three subclades in the genus Pseudogymnoascus, closely related to isolates from soils and bats. This study shows the diverse niches Pseudogymnoascus can be isolated and provides new insights into relationships among pathogens, opportunistic pathogens, and saprotrophic isolates within Pseudogymnoascus. Keywords: White Nose Syndrome, mycosis, nail infections, Pseudogymnoascus destructans, Pseudogymnoascus pannorum.